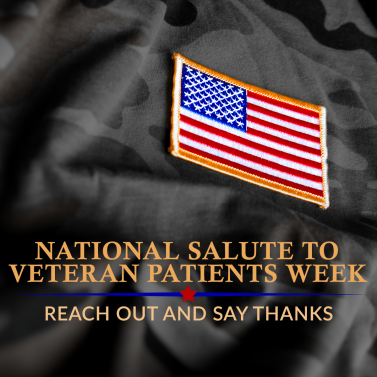 The week of February 14 each year is your opportunity to say thank you to a special group of men and women, more than 98,000 Veterans of the U.S. armed services who are cared for every day in Department of Veterans Affairs (VA) medical centers, outpatient clinics, domiciliaries, and nursing homes. 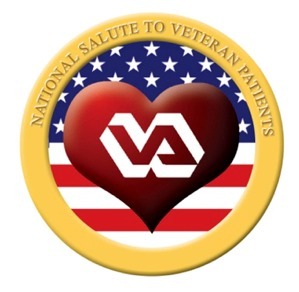 During the National Salute, VA invites individuals, Veterans groups, military personnel, civic organizations, businesses, schools, local media, celebrities and sports stars to participate in a variety of activities at the VA medical centers. The activities and events include special ward visits and valentine distributions; photo opportunities; school essay contests; special recreation activities and Veteran recognition programs.